I’ve been begging my husband to tear out our above-ground pool for years, but it doesn’t look like it’s going to be happening anytime soon. So, in the meantime, we might as well use it! We have been using a step ladder to climb into the pool for the last few summers. but as luck would have it, a neighbor offered the perfect solution. 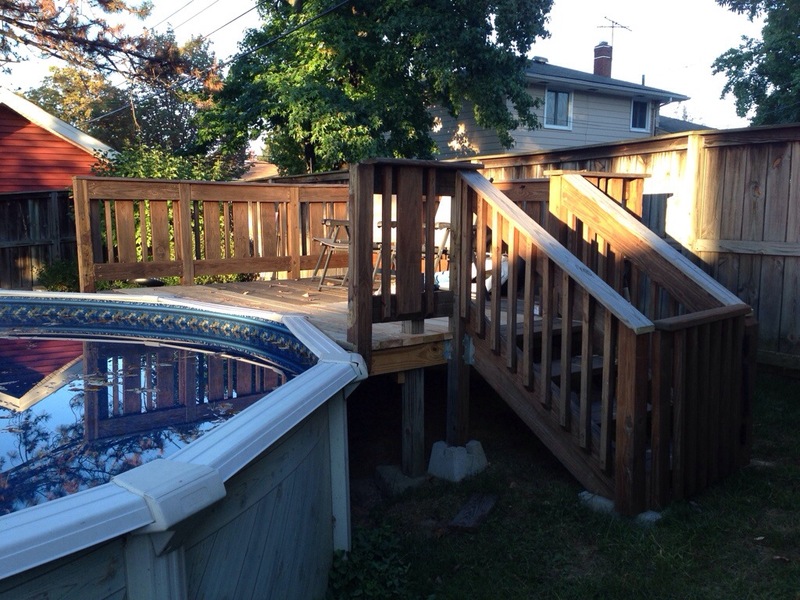 They had just tore down their pool and they had a pre-built deck (with stairs) that they no longer needed. There are some things in life for FREE!! 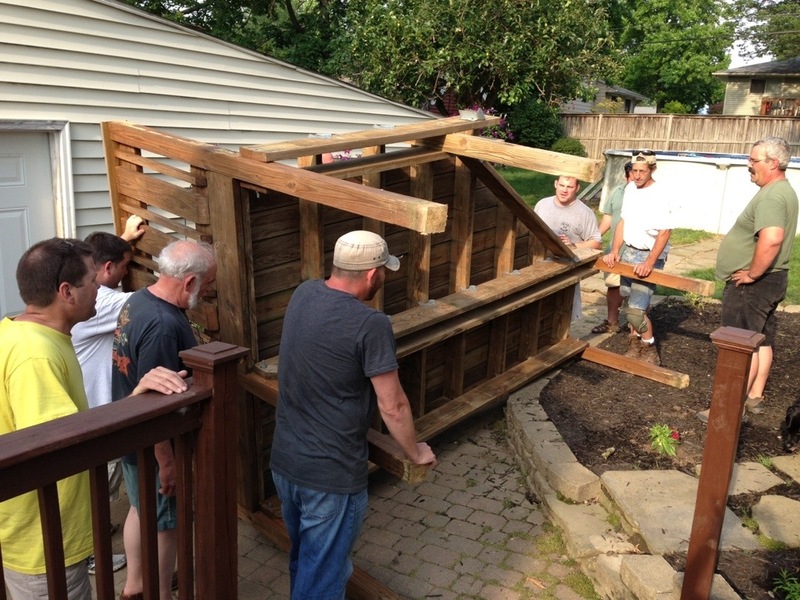 My husband, and several strong friends, loaded it on a large trailer and then unloaded it in our backyard…. As you can see, this was no easy task. First, we decided where it needed to go. 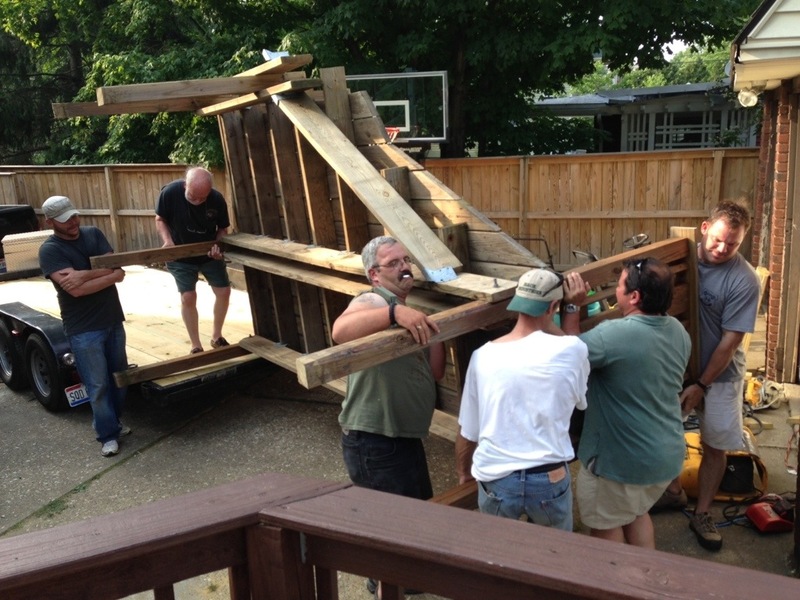 After briefly measuring it, the guys began to move it into place…. 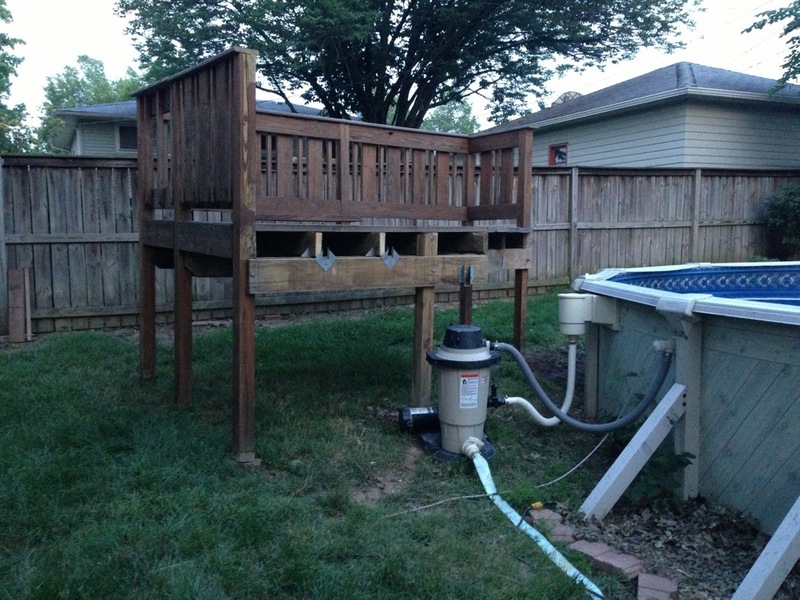 We moved it to the back left corner of the yard thinking it would be a great way to hide the pool pump and other pool accessories, but we immediately realized if we put the deck over the pump, it would be too difficult to access it. 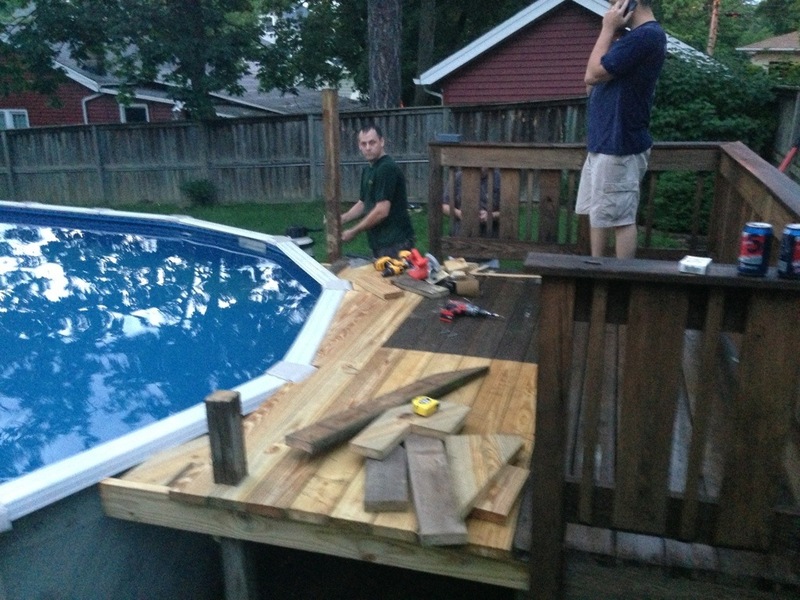 So, we would have to move the deck again…this time, we’d center it along the back- just to the right of the pump. 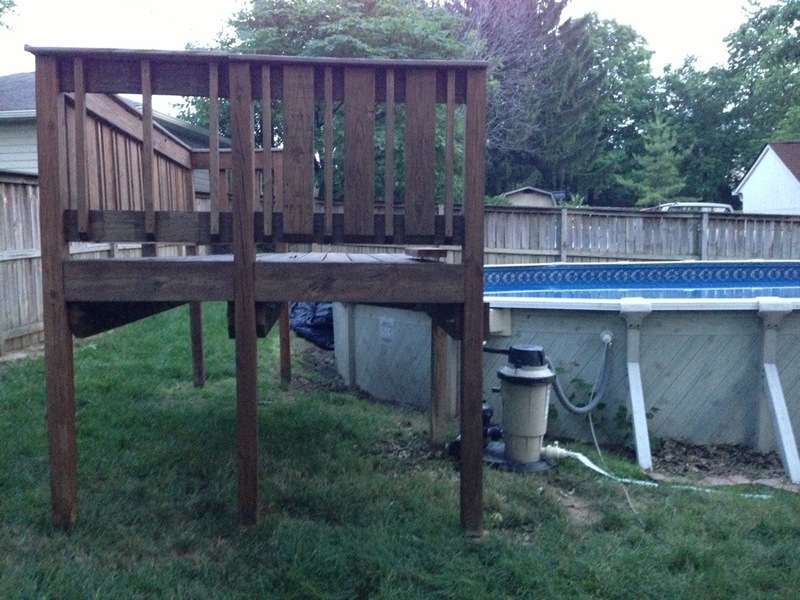 It’s clear that the deck is a little to tall, so my husband measured the height of the pool and cut the “legs” of the deck so that it was level. 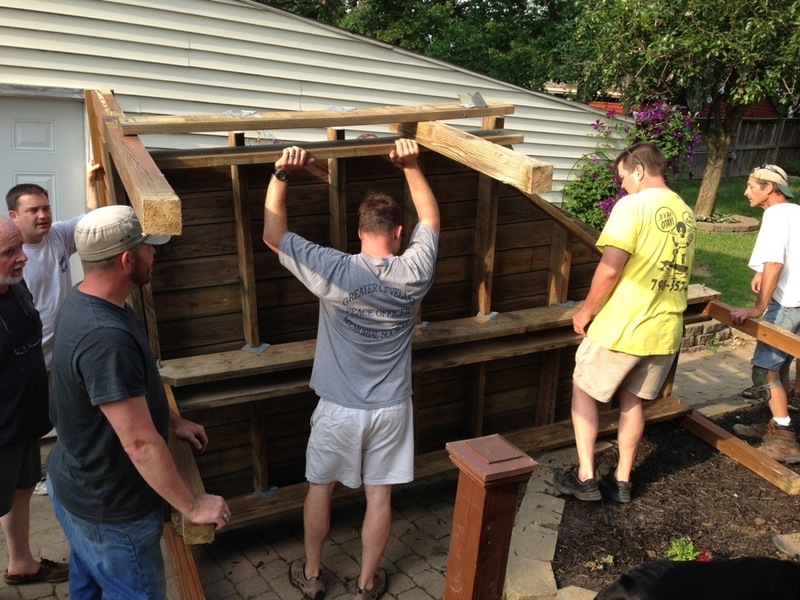 We secured the beams in place with cement deck block from Lowe’s at $6.40 a piece. 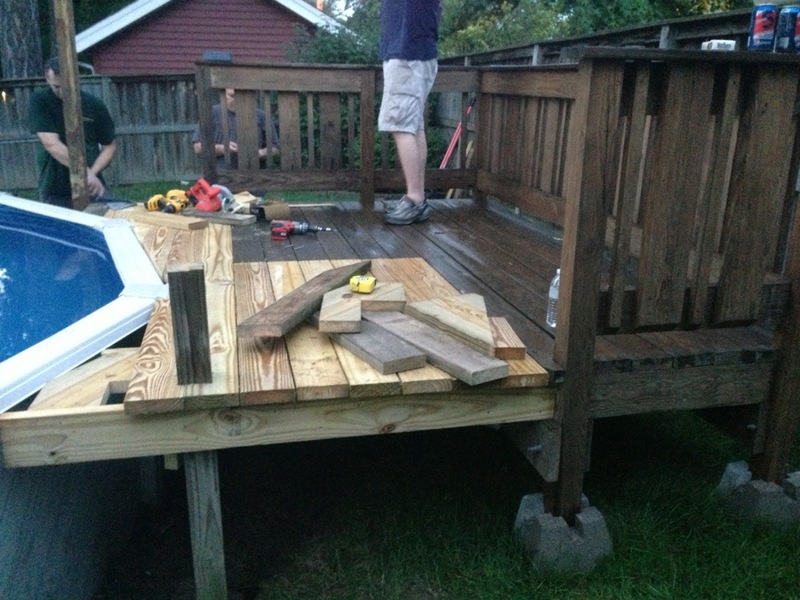 Then the husband and a handy friend filled in the empty space with new wood (5/4 X 6) cut to size. Once it was built-in to place, we just needed to add the staircase. The only problem? The stairs are too large for the area. We cut them down to fit the space, installed the gate and added the extra railings we had left over. 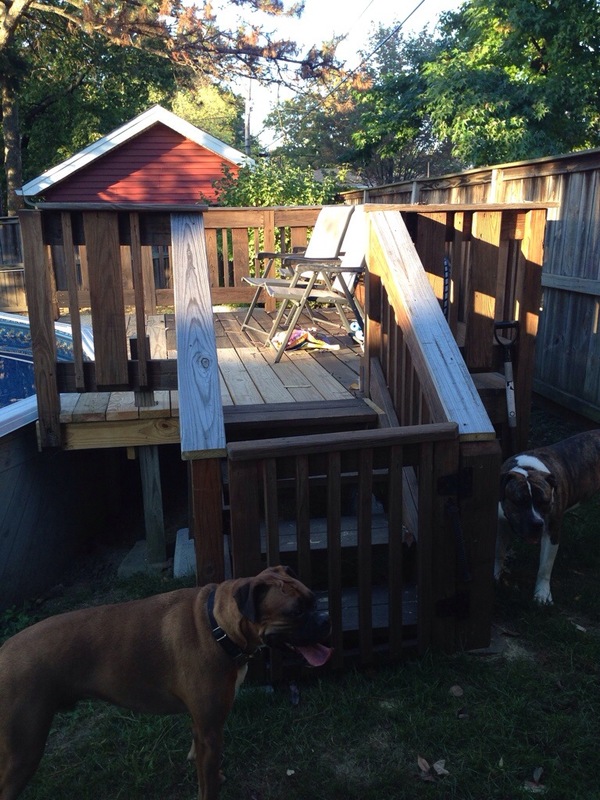 Here’s the finished product…now it just to be stripped and re-stained! Some nice landscaping might look nice too (to hide the area underneath).